In 1833, slavery was abolished in Britain and all its Dominions and colonies. This change saw a reversal in the direction in which fugitives slave ran. No longer did they need to escape from Upper Canada into Detroit. 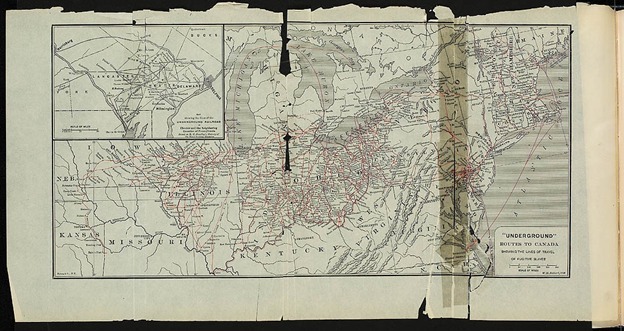 And while some slaves on the run from the southern U.S. stopped and stayed in the northern U.S., others continued on into Canada, sometimes with the aid of the Underground Railroad. 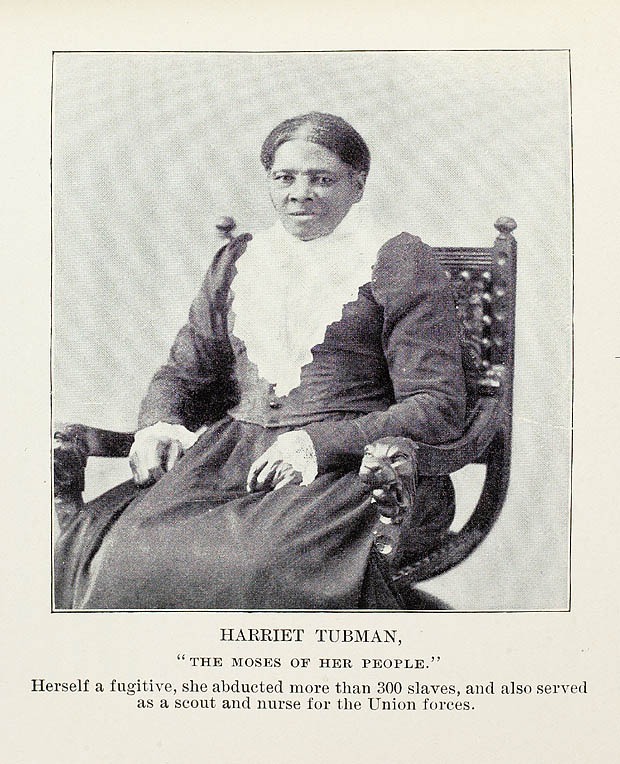 Harriet Tubman was a "conductor" on the Underground Railroad in the 1850s based in St. Catharine's Ontario. She returned to the U.S. nineteen times to bring other fugitives to Canada. After the Civil War started in the U.S. she went back to the U.S. and supported the Union troops as a nurse and a scout. In 1850, the U.S. Fugitive Slave Act led to a rush of Blacks, both slaves and free Blacks escaping from both the southern and northern U.S. into Canada. The period from 1833 to the end of the U.S. Civil War and emancipation in 1865, is the one that figures most strongly in the Canadian identity as regards Black history. Canada was seen as a refuge for the downtrodden. While it is true that Canadian law protected Blacks in Canada, there was also significant societal racism and discrimination. 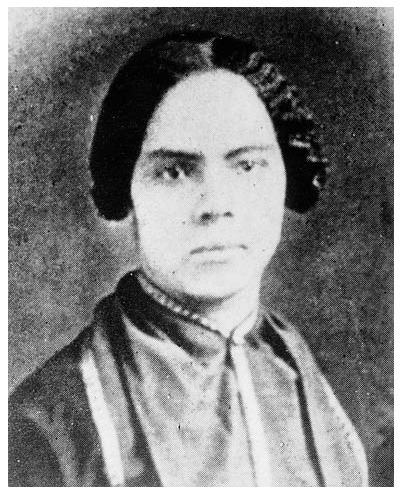 Mary Ann Shadd Cary was a free Black American who immigrated to Canada shortly after the passing of the Fugitive Slave Act. She was an activist, teacher and lawyer. As the founder of the Provincial Freeman newspaper she was the first black publisher in Canada and the first black woman publisher in North America. 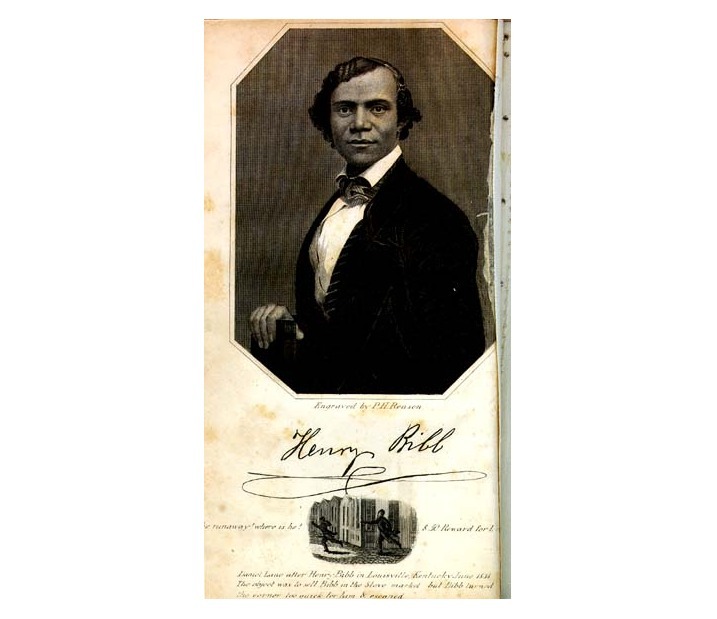 Henry Bibb was an escaped American slave who, prior to the Fugitive Slave Act, lived in freedom in Detroit. Like, Mary Ann Shadd Cary, Bibb left for Canada when it became unsafe for him to remain in the U.S. In 1851, Bibb founded and was the editor of the Voice of the Fugitive newspaper. Through this newspaper, Bibb was able to reconnect with three of his six younger brothers who had also escaped to Canada. During this period, a number of extradition trials took place, with American slave-owners seeking their slaves back from Canada. Canadian law evolved through this time to protect former slaves. But in some of the more remote places, Blacks had no protection. This was a chaotic time in the North American northwest. British Columbia was not a province but a scattered collection of British colonies. The border dispute with the Americans had only recently been settled and the gold rush was on. Thousands of Americans had flooded into Victoria and the mainland, setting up tent cities and overwhelming the small population. While the Royal Navy patrolled the coastline, there was no militia to enforce British law. 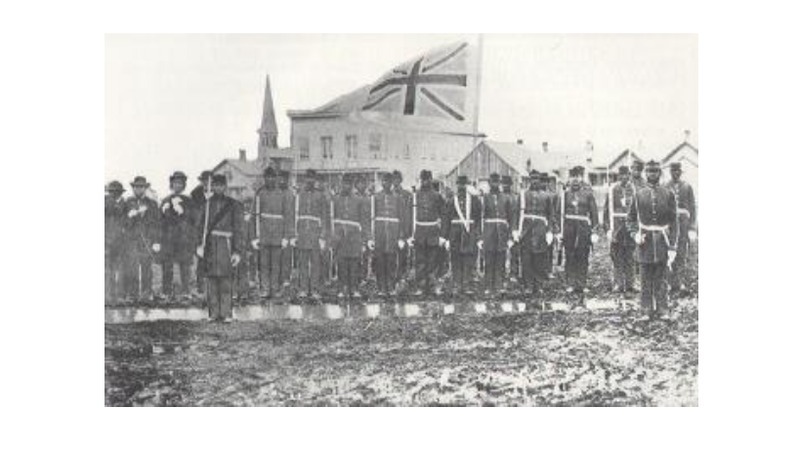 In 1860, 45 Black men, who had taken refuge in Victoria, stepped forward to form the first military unit in the British North American west. They were the Victoria Pioneer Rifle Corps, also known as the African Rifles. However they were not officially sponsored by the British, and prejudice and lack of recognition led them to disband five years later. With the end of the American Civil War, and emancipation, many returned to the U.S., disillusioned by their treatment in British North America. Meanwhile, many Black Canadians, having obtained freedom in Canada, were desperate to see an end to slavery in the U.S. and volunteered to fight in the American Civil War. 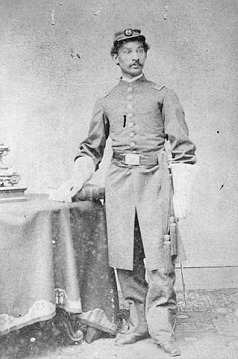 Some, such as Dr. Anderson Ruffin Abbott, volunteered in non-combat roles. Dr. Abbott, the son of refugees, was the first Black medical doctor in Canada. He volunteered as a surgeon in the American Civil War for the Union forces and became the Coroner of Kent County after his return to Canada. It is through this period that Canadian writing linked most strongly to the Romantic style. In 1897, Janet Carnochan wrote a newspaper article about a Black extradition trial in the classic Romantic style describing the Black man on trial as “my hero,” and using phrases like “do or die” and “noble deed.” She said these stories were “lessons in heroism,” and that the “moral heroism shown, lifts us up on invisible wings and fits our souls for lofty flights.” She described the event as “A noble deed…a beneficent deed and worthy of being chronicled.” The Romantic style of writing also inserted the author into the narrative, frequently using personal pronouns, as seen above with "my hero" and "lifts us up." This insertion of the self is especially evident in Ross's book from the Romantic era below. Click on the image of the Ross graph below to see more about this. As well, during this period, the travelog as a literary style emerged. A number of Black newspapers were founded, such as those mentioned above, and people wrote personal narratives such as autobiographies and biographies, and published their journals. But Canada was far from a perfect place. For many Black families the lure of the U.S. drew them back south. Many had left family and friends behind when they came north. A lot found the climate in Canada to be a strain. And while the justice system in Canada offered them full protection under the law, on a day-to-day basis, the prejudice against Blacks was oppressive enough to tip the balance in favour of returning to the U.S. This narrative of prejudice runs contrary to the romantic notion of Canada as a refuge, but by the late 1800s at least some Canadian academics began searching for a new reality.